When this customer communication platform emerged from a TechStars incubator in 2009, the company had already achieved explosive growth. By the end of that year, the tech company had delivered more than 100 million emails on behalf of more than 100 paying customers. Just a few years later, that number has grown exponentially. In fact, the world-renowned company now delivers more than 20 billion emails a month for customers that include Uber, Spotify, and Airbnb. 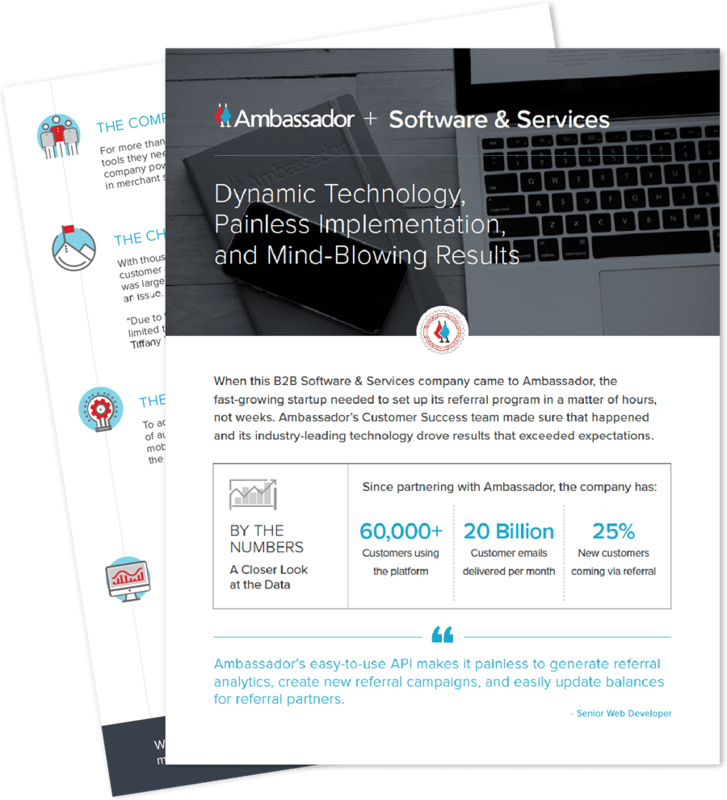 When the company came to Ambassador in 2011, it had a steadily growing roster of customers and a well-established marketing strategy, but it lacked a formal referral marketing program. The company knew that had to change — and not over the course of several months or quarters. The company needed a solution that was flexible enough to adapt to its unique needs and a partner that would work tirelessly to help the company implement it as fast as possible.